We automatically start feeling relaxed when we enter into a massage or spa center. We get an ambiance specially created to bring the relaxation that every massage center creates to set a perfect mood with a unique setting. A massage therapy amid the soothing surrounding will lift your mood for sure as you can enjoy lots of benefits with the complete relaxation. People choose a massage therapy to pamper their skin and body when they feel stressed or exhausted. A person who is too occupied with their everyday tasks which are quite stressful. A massage therapy is very helpful to relieve the muscle tension. What is a massage therapy? According to the experts, a massage therapy is a normal form of rubbing, pressing and manipulating your skin, muscles, tendons, and ligaments. A therapist uses his fingers and hands which may relax your mind and body. It establishes a connection between mind and body so that you can feel energized and rejuvenated. Also, it is known that massage treats a number of psychological issues such as stress, depression, hyperactivity and post-traumatic stress. Hot Stone Massage: Hot stone massage therapy is ideal for everyone who wants to improve their well bring in a pleasing environment. In this process, warm stones are placed strategically on your back which increases the penetrating power to treat sore and stiff muscles. The hot stones which are commonly used are Basalt Stones. These stones provide a profound relaxation effect and also, helpful for you to relax your muscle. The heat causes blood vessels to improve the circulation as well as releases accumulated toxins. Swedish Massage Therapy: This is the most common type of massage therapy where the therapists use long smooth strokes. Along with the firm strokes, kneading and circular movements on superficial layers of muscle with the help of a lotion will be very helpful in toning your muscle. It is very gentle and relaxing which is good for the beginners who never tried any massage therapy. Deep Tissue Massage: It is used extensively to release chronic tension patterns in muscles as well as toxins. This is the best massage for people under a lot of stress and plans a massage therapy on a regular basis. Using a deep pressure on spammed and knotted muscles, fibrous adhesion and trigger points, it brings a profound relaxation. With the specific kneading and gliding strokes and soothing, it gives you a relaxed feel. 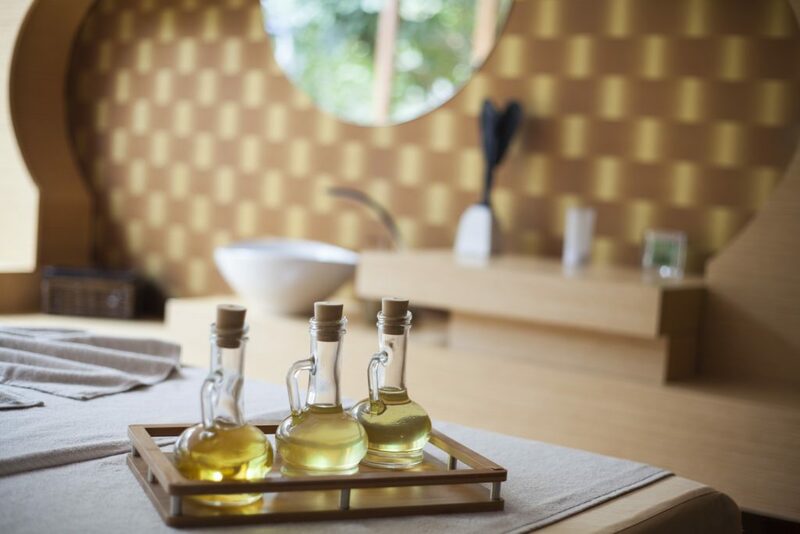 Aromatherapy Massage: In aromatherapy massage a number of essential oils and natura ingredients are used to relax your mind, makes you stress-free and balance your overall physical stress. Lavender is one of the most important essential oils which are used in aromatherapy massage to release your stress and supports your emotional component. Thai Massage: This massage type used to energize your body by using the gentle pressure on the specific points of your body. It includes compressions and stretches into a proper sequence of the body posture. It works just like Yoga which works more ideally than other practices to reduce stress and improves flexibility of your body. A practice known as massage therapy works by providing a great relief to your muscles as well as other parts of your body so that you can easily experience a pain-relief in your muscle tension. 1234 19th St NW Suite 600 Washington, DC 20036.